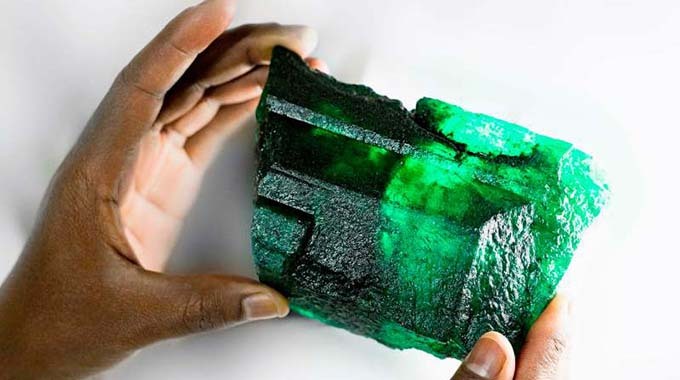 FYI a rather large Emerald has been found at one of the Kagem mines in Zambia. Still had crystal faces and looks rather gemmy. 1.1 kilograms which makes my specimens look microscopic. What an impressive piece of rough. I need to find one like that. Be interesting to see what can be cut from it. At least a few decent stones in there. A donkey, ouch, nothing against them but at least something like a zebra would be more remarkable. Not even replaced by a donkey here! Let's say I found this in my back yard, how much could I sell it for rough. And how much could I sell it for after cutting? The answer is 'a lot' but beyond that the same general issues with appraising from a photo come into play, and on top of that the giant issue of appraisals in a market of very rare items (so limited comps if any), marketed by necessity to a much more limited (buckets of cash) audience. Someone with a lot of experience on that side of thr market might be able to give a ballpark but even then it might not be right. 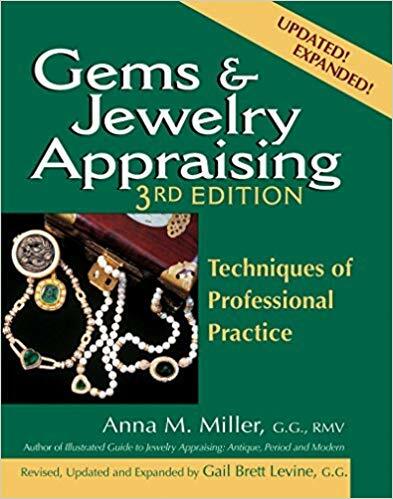 There is no BlueBook on gems. When assigning a value to something a market has to be defined. Wholesale tent in Tucson vs a guild vendor in the AGTA Pavillion? 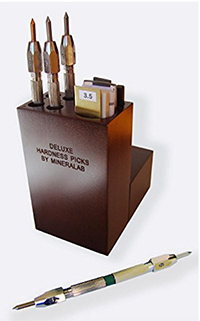 A firm or individual who is a mineral collector? Taking out an ad in a mineralogical publication, lapidary publication? What country would we be offering the specimen? US, Dubai, Hong Kong, Moscow? But, the major caveat is where are you going to get comps on the sale prices for similar items? I agree that a photo like this one can't tell much. And with such rare items very few people would know what its worth. Barbra, those are some pretty good points you raised about how various factors can affect the price of the same stone. I'll jot them down somewhere. I recently graduated as a gemmologist but still I'm really struggling with assessing how much a gem is worth. I think it's "a thousand mile journey starts with a single step" sort of thing. I'm thinking of specialising in aquamarine and tourmaline and learning as much as I can about them. But even then i'm totally baffled at how to assess the price. Price of rough, price of a cut stone, if the cut stone is a single stone or matching pairs then how does that affect the price, if the stone is cut well vs poorly, how inclusions affect the price. I have a very rough idea how much a stone is worth but my pricing is plus or minus about 50% of the stones actual worth, so I'll get eaten alive if I try to buy anything that isn't priced, from developing countries. And pricing specimens, I just assume it's black magic. 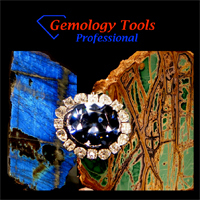 How much do you think I could learn just by browsing the internet a lot and things like the GemGuide? I don't live near any gem markets. I'm looking at sites like minfind.com and random wholesale dealers' websites and learning very very slowly and probably not accurately, as Stephen said, photos dont tell you the whole picture. The tourmaline family is too big for me right now. If I really want to learn, say, how to price aquamarines, rough and cut, any ideas where to start? I plan on exploring the gem markets of Pakistan and Afghanistan but I'm pretty sure I'm going to get totally ripped off if I'm not prepared. The answer to the rough value will be answered definitively shortly. Gemfields holds tenders for their rough material. Since this stone will be sold as a single stone lot, we should know the result. We will never know the wholesale/retail cut stone total sales number. However, it is my guess that one, or a few, "named" stones will come from this piece. They will use the provenance of this piece to give extra value to these pieces. So, we may have some insight eventually into the value that is derived from this rough. For now, suffice it to say it will be a lot of money. Wow, I would Travel for that Garage sell! I hope she knows the combo of the safe!! Maybe throw in a hat for the donkey! Nah, the truth is that I am leaving my collection of special rough to a well known Gemological Institue. She doesn't need the money. Either that, or maybe I should bury it all in a box somewhere, and write a novel full of clues from history and geology for people to solve and find it. Finders keepers. Sort of like a Da Vinci Code gem treasure hunt. That would be an interesting topic or section : where would you like your stones/jewels to go after your death. Since they are supposed to last longer than us !